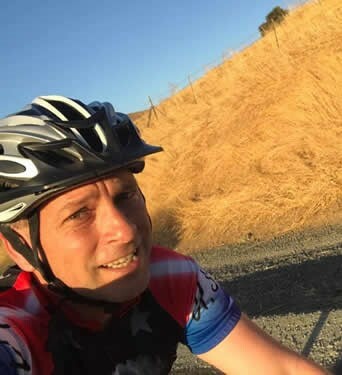 Mark Meuser, candidate for California Secretary of State, will be launching a statewide #ElectionsMatter Bicycle Tour, covering 5,000 miles and 100 rallies in all 58 counties, starting in Martinez, Calif., the county seat of his home county of Contra Costa on Monday, July 9. The kick-off will begin with a rally at Ferry Point near the Martinez marina at noon. Meuser, an avid cyclist, will head to the northern part of the state such as Eureka and Redding, eventually concluding the bicycle tour in Huntington Beach on Thursday, August 23. “Because elections matter, we need someone who will actually follow the law. We need a new Secretary of State and that’s why I’m running,” he added. Meuser, is a Constitutional and election law attorney running to restore integrity and honesty to the election process in California. He has pledged to clean up the bloated voter rolls by removing those who have died, moved, are registered more than once, or are ineligible to register and vote. Look for the #ElectionsMatter Express chase vehicle and Mark riding his bicycle, as they roll through the state. Meuser is available for further interview on this topic at each rally. Please contact Matt Shupe, Meuser’s communications director to book an interview at (415) 735-8491 or Matt@PraetorianPR.com. For more information about Mark Meuser’s #ElectionsMatter Bike Tour, please visit www.markmeuser.com/bike-tour/.